1. Good old coin flip. 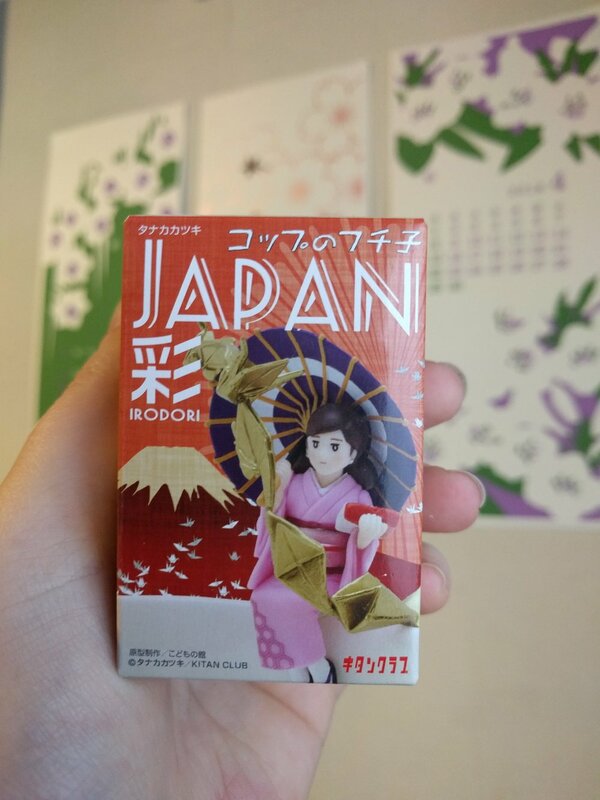 I know, hardly unique to Japan, but the 五円 (5 yen) are lucky. But if it were truly lucky, it wouldn't be a fair coin flip. Don't let the picture fool you. Cats hate this. 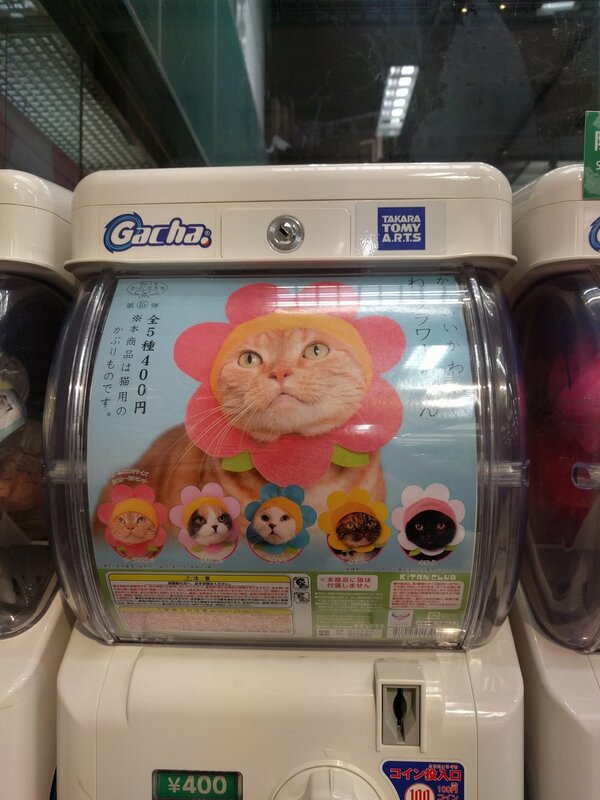 Similar to the Gatcha capsules, but for retail. You can find these at places like LOFT. 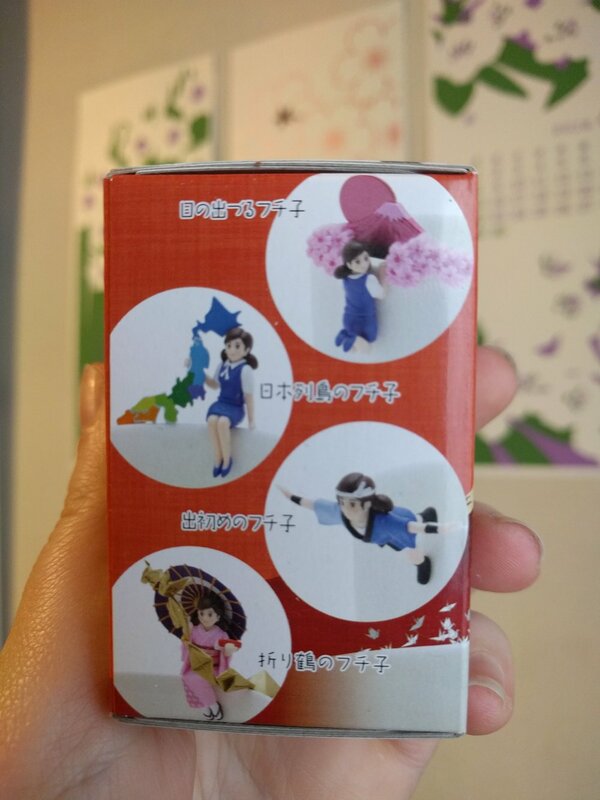 I really like this strange girl that hangs out on the side of a drinking glass -- カップのフチ子 or Fuchiko on the cup. Seven choices available in this box. I got the best one on the first try. What are some other ways of generating a random number from your corner of the world? * Yeah I'm not guaranteeing a perfect distribution on the gatcha-pon, so don't use it to generate cryptographic keys, alright?